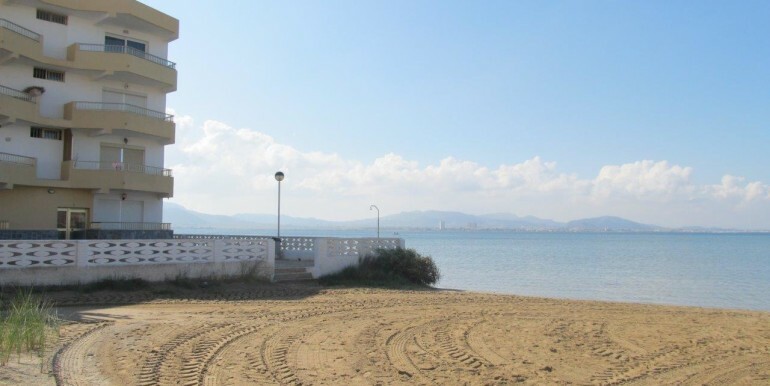 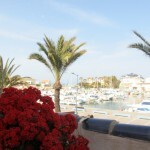 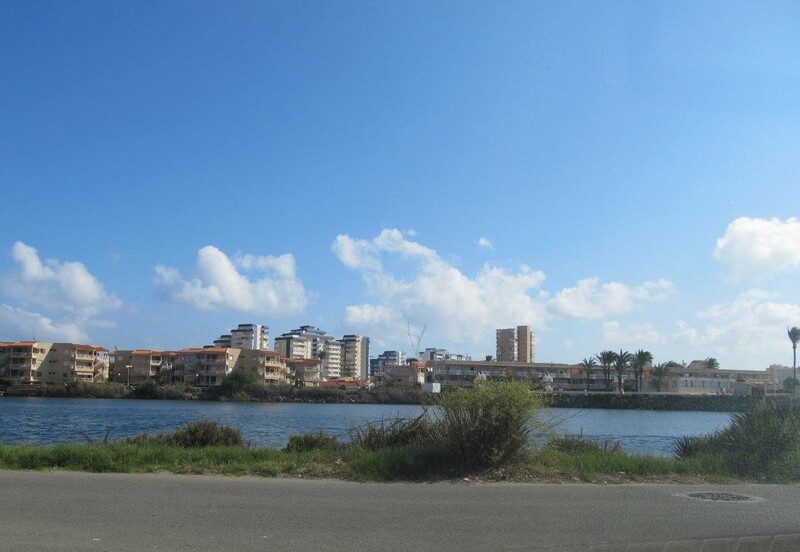 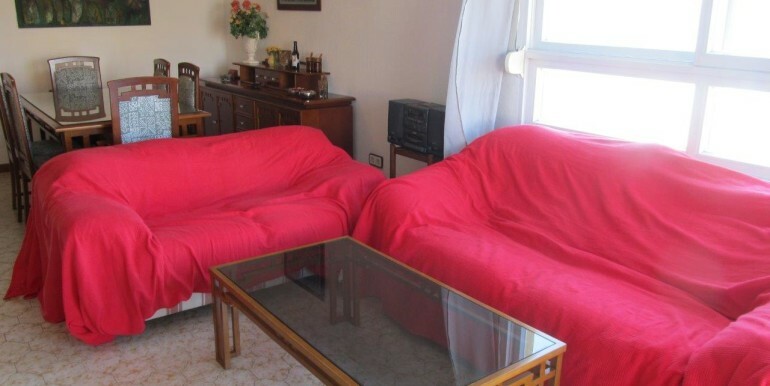 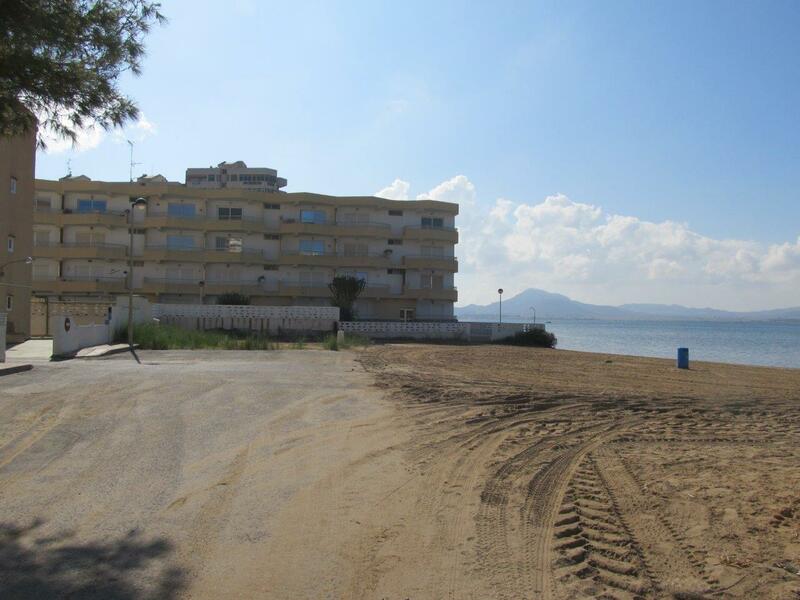 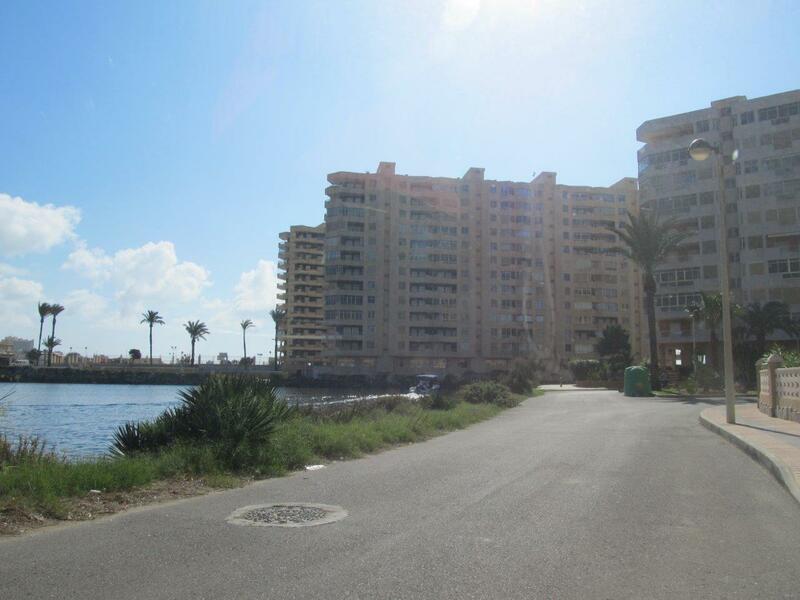 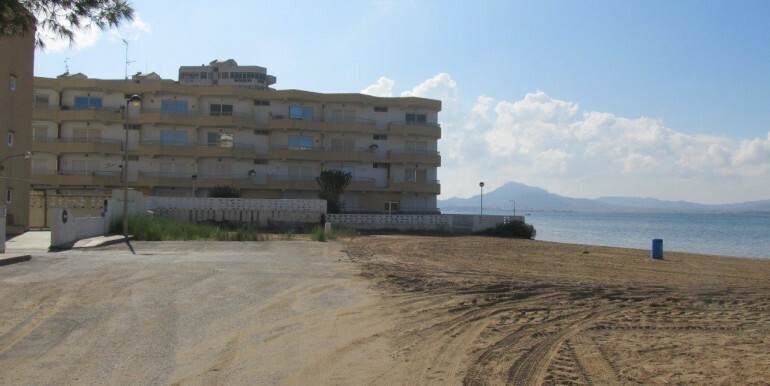 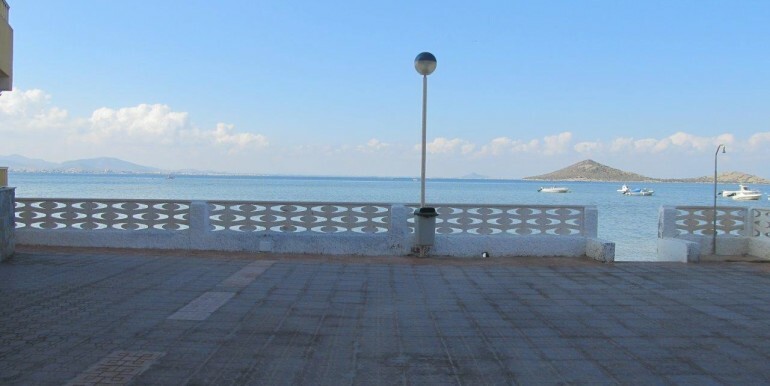 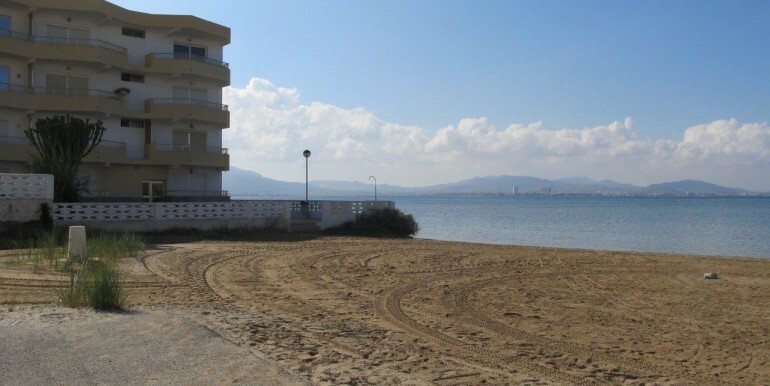 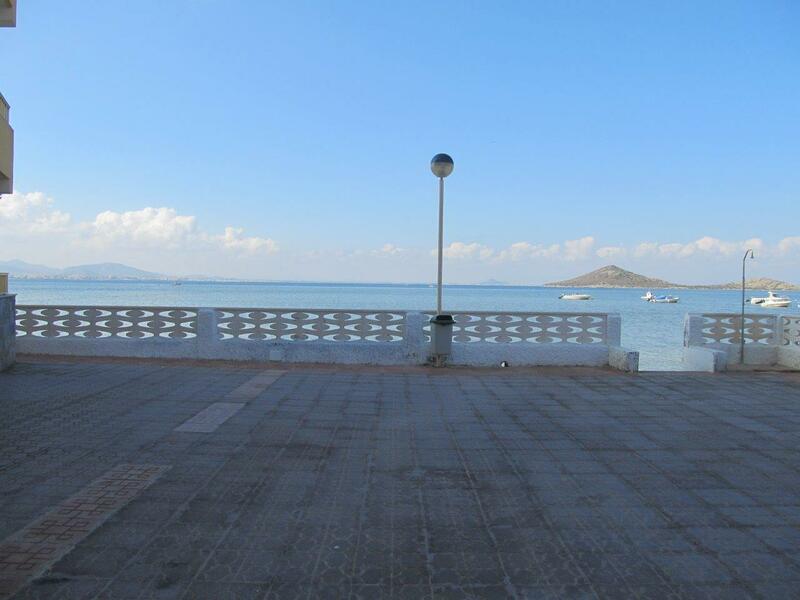 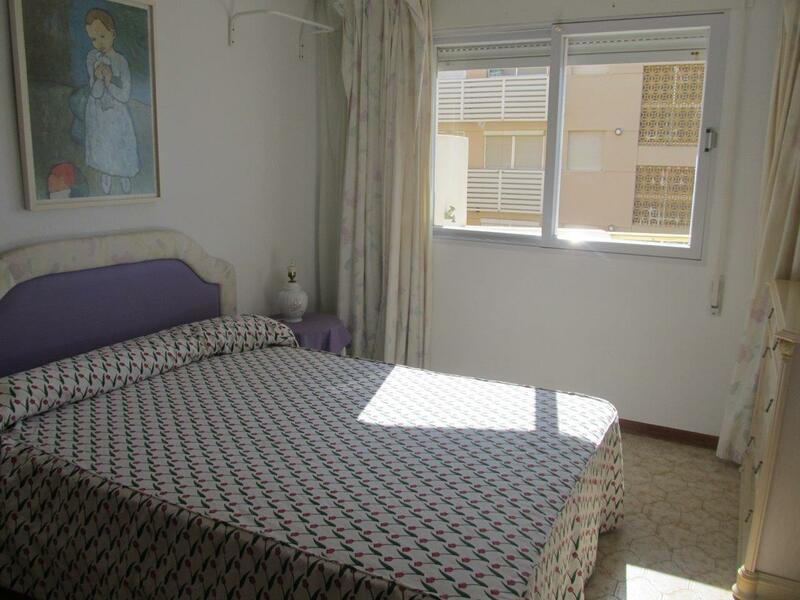 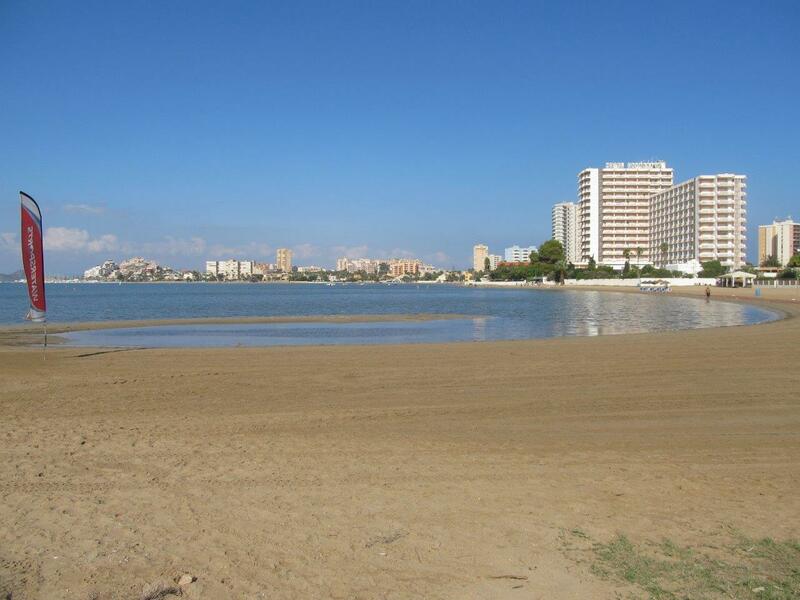 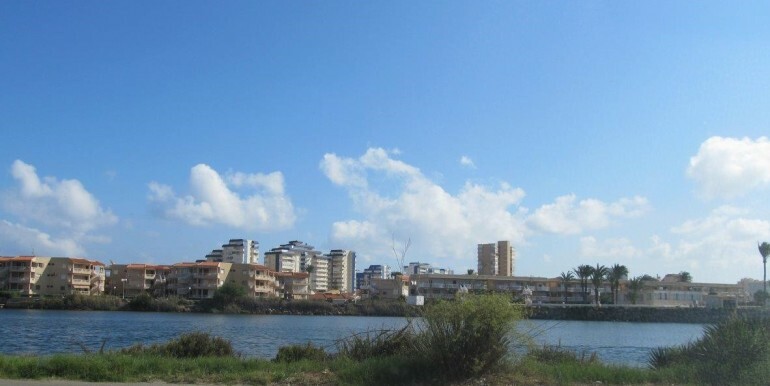 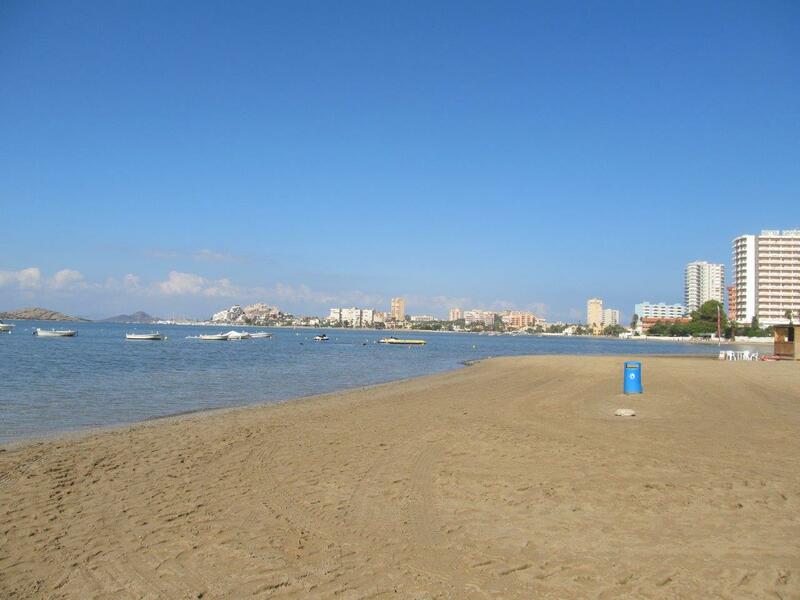 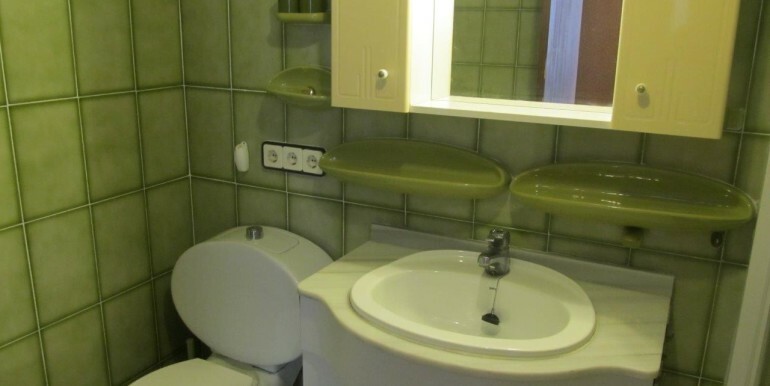 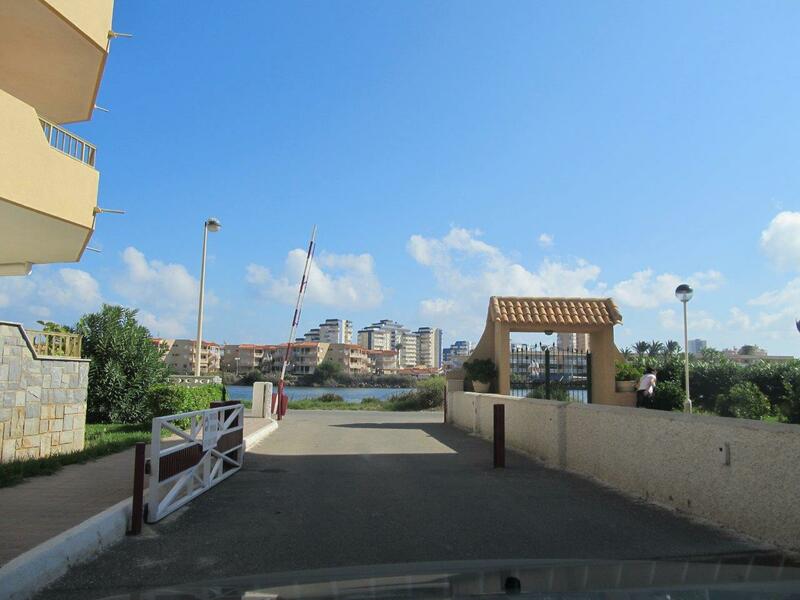 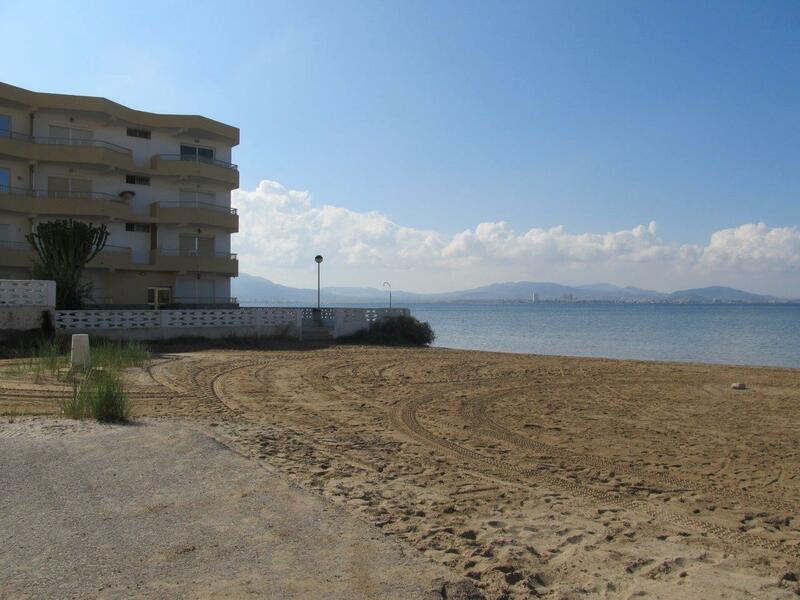 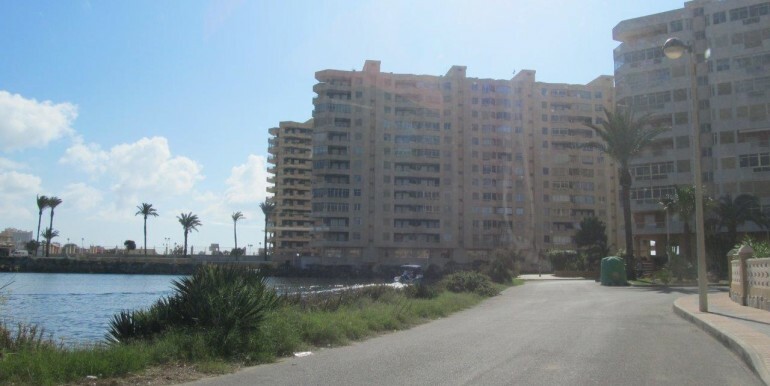 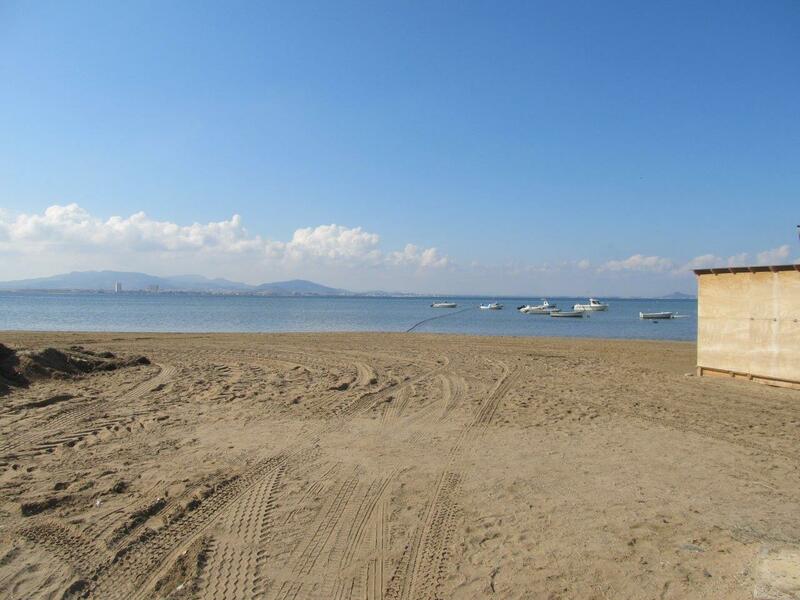 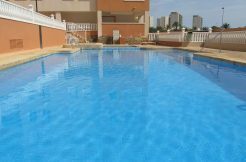 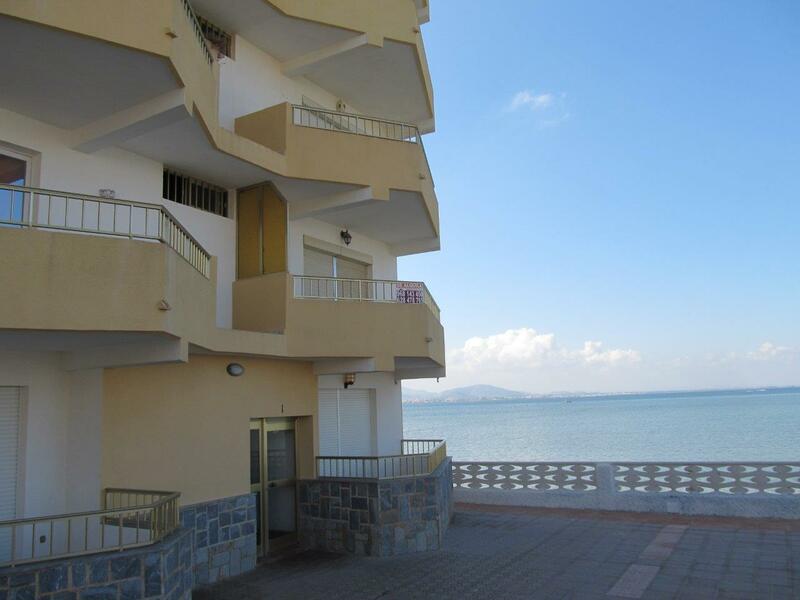 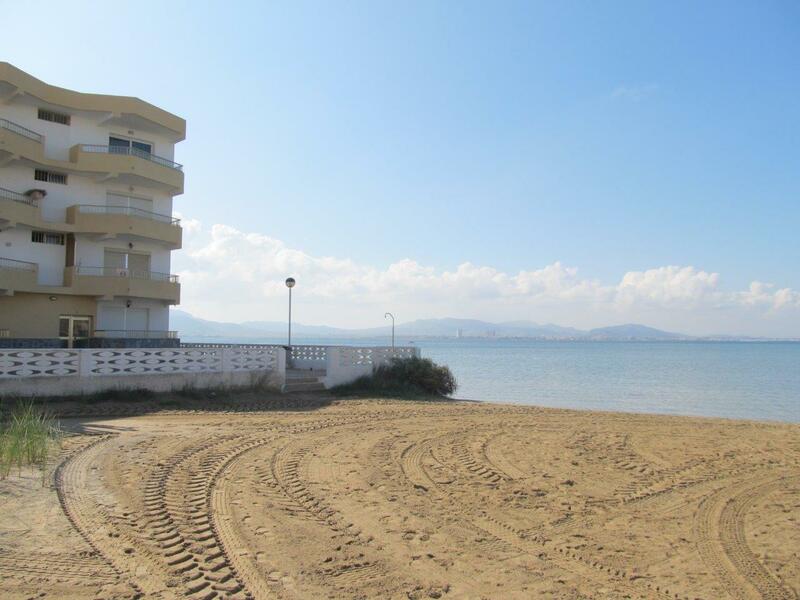 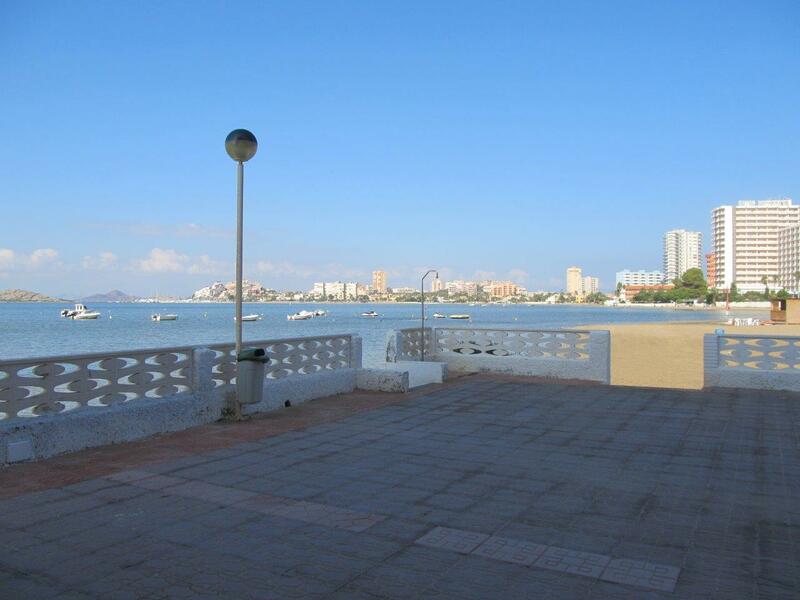 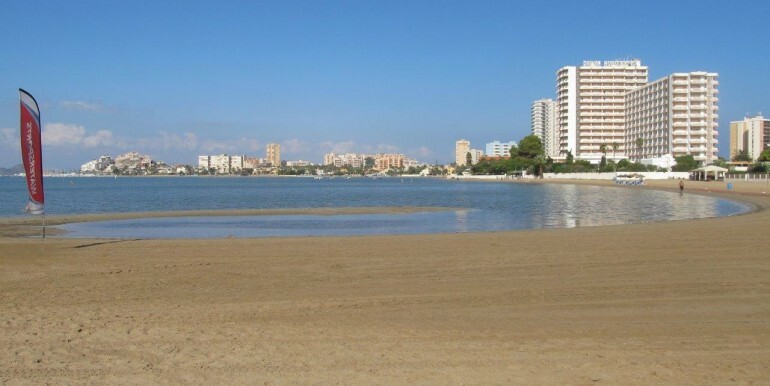 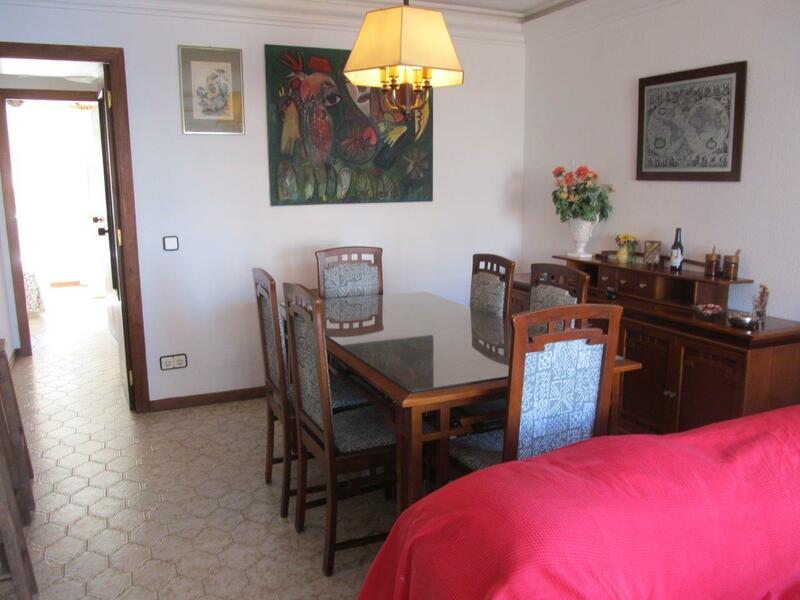 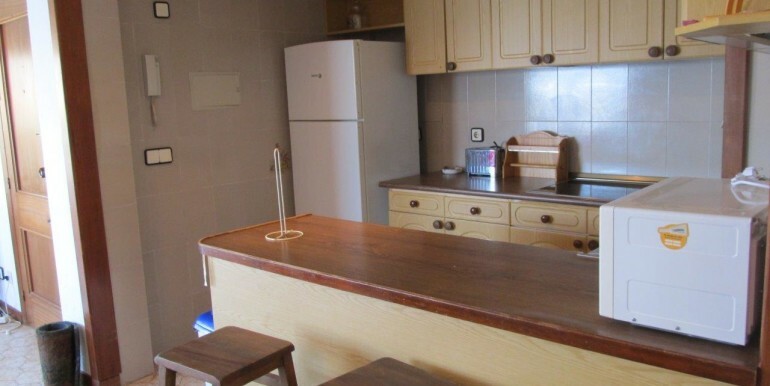 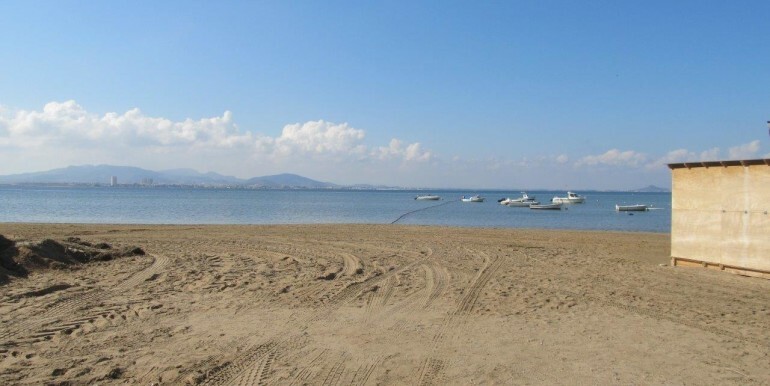 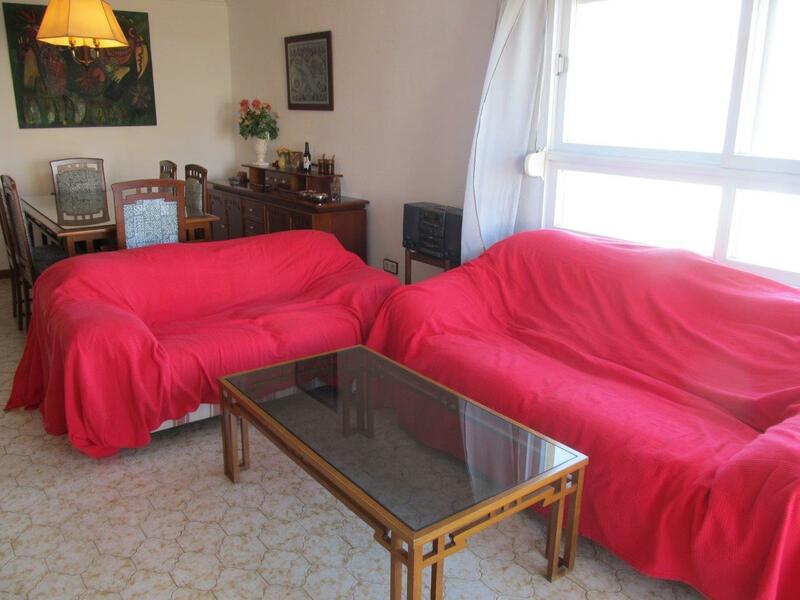 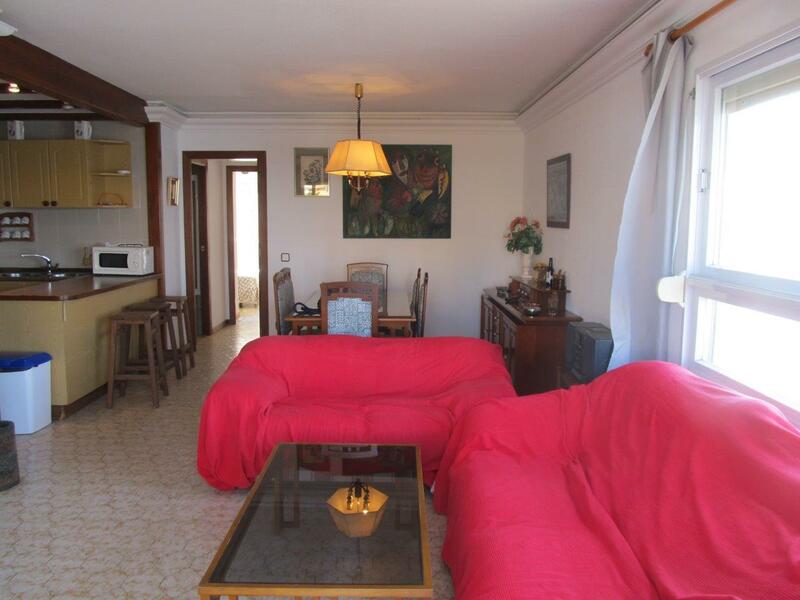 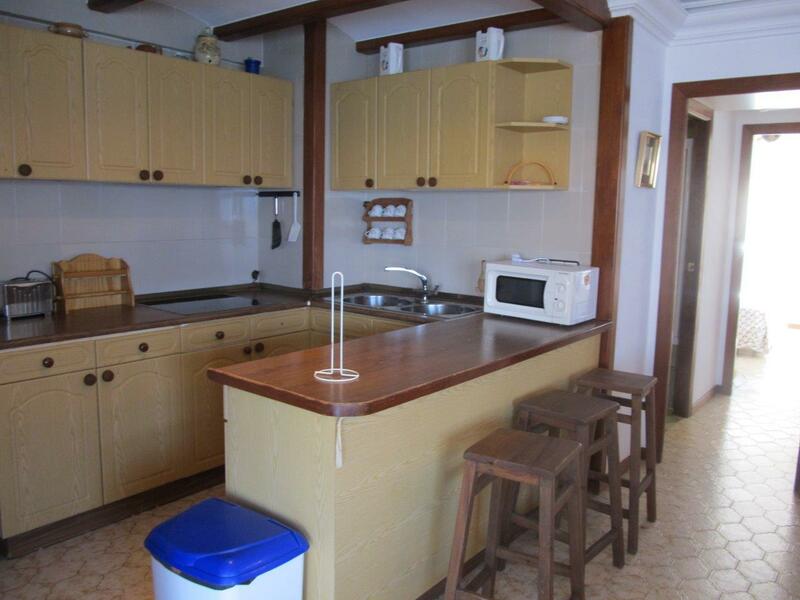 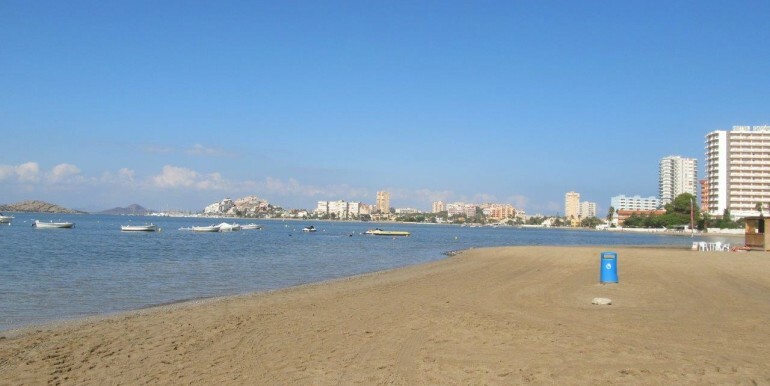 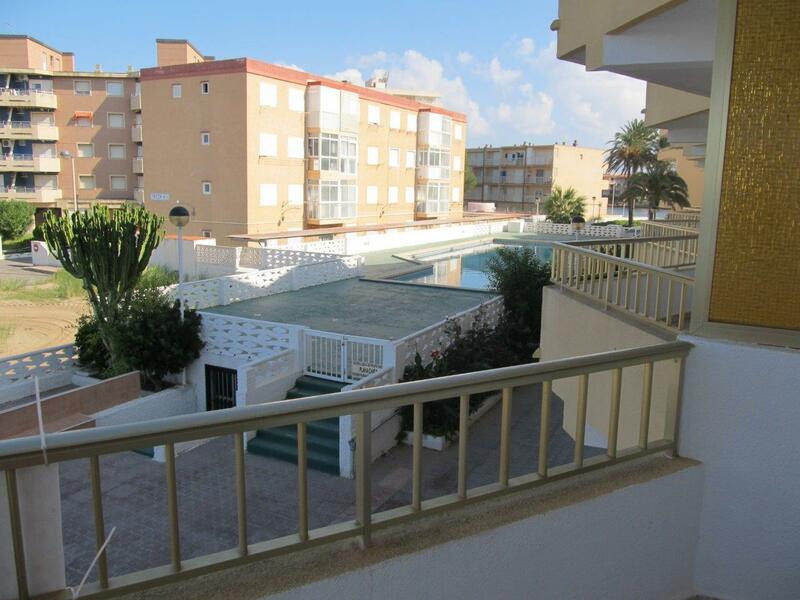 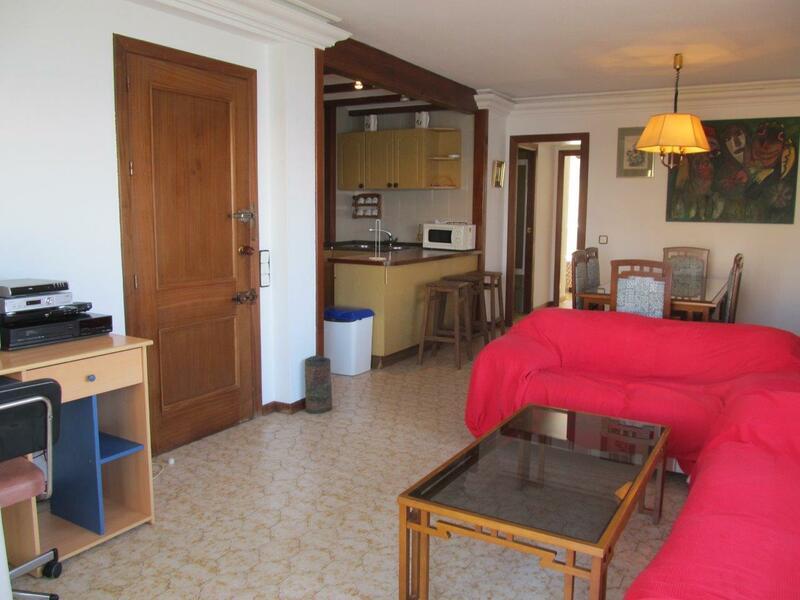 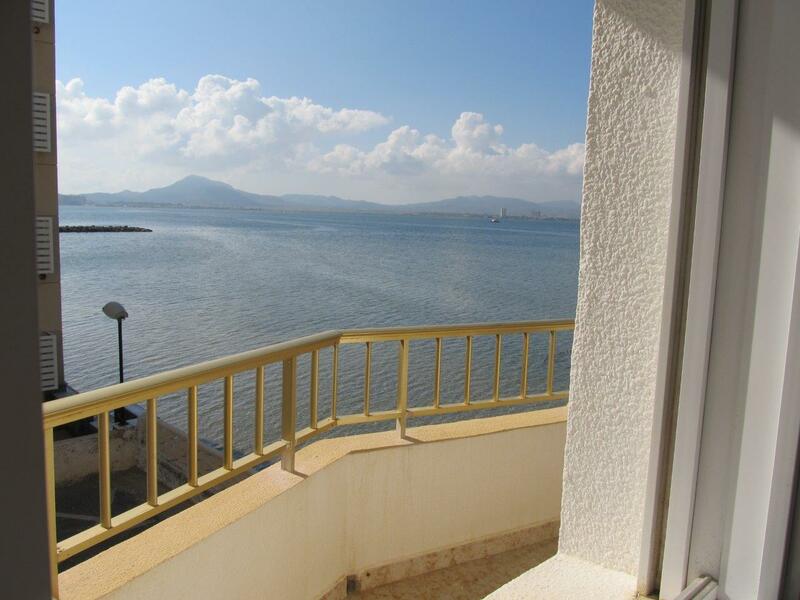 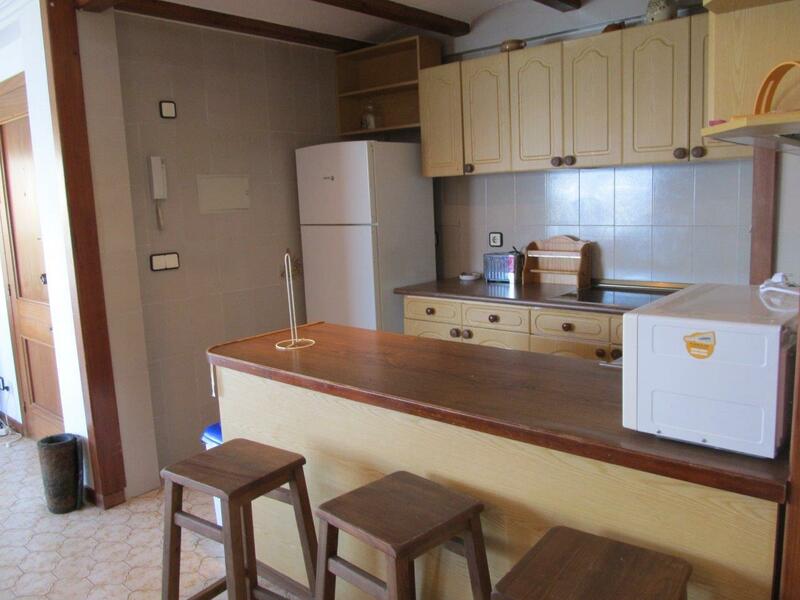 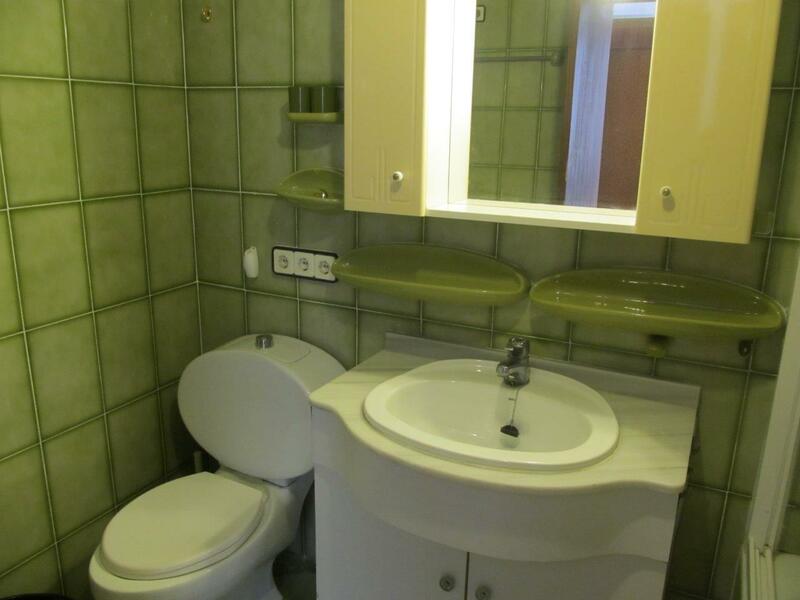 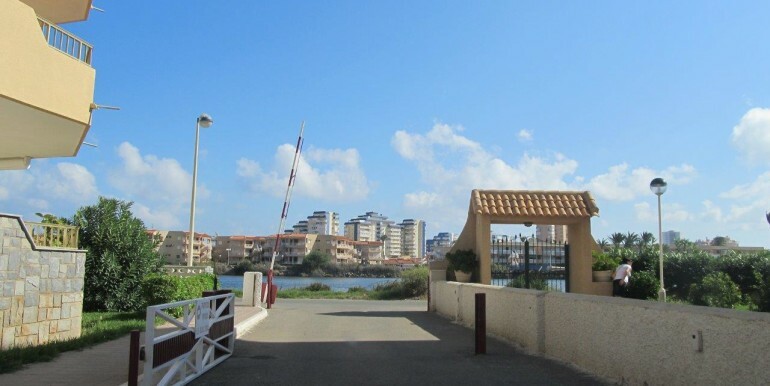 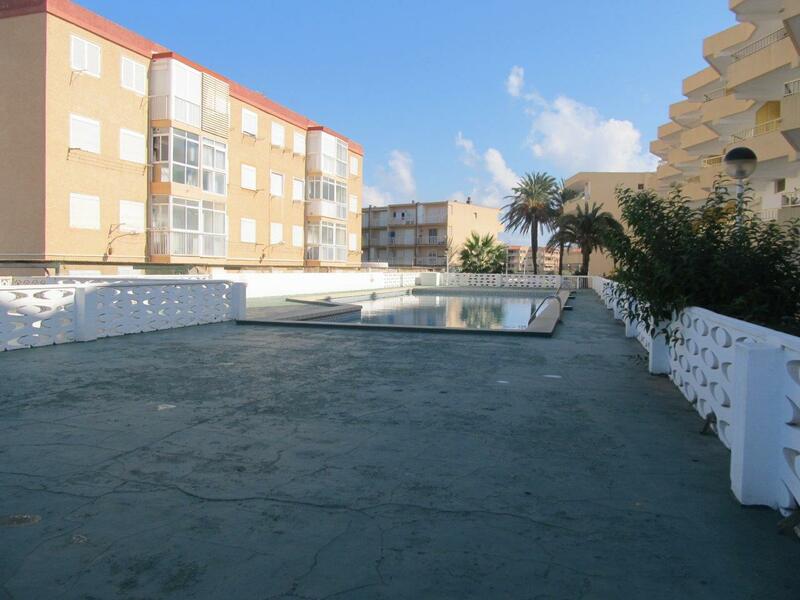 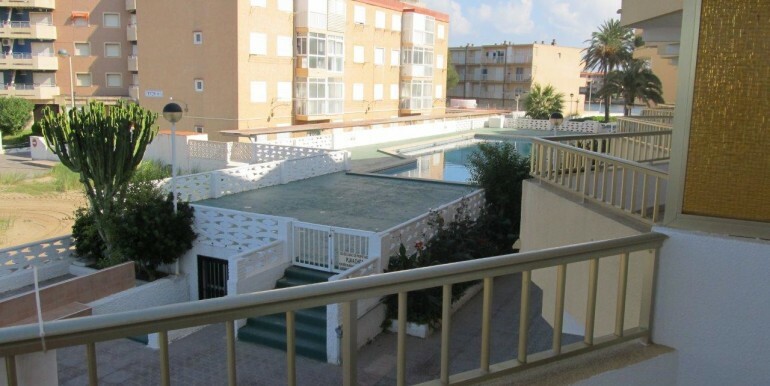 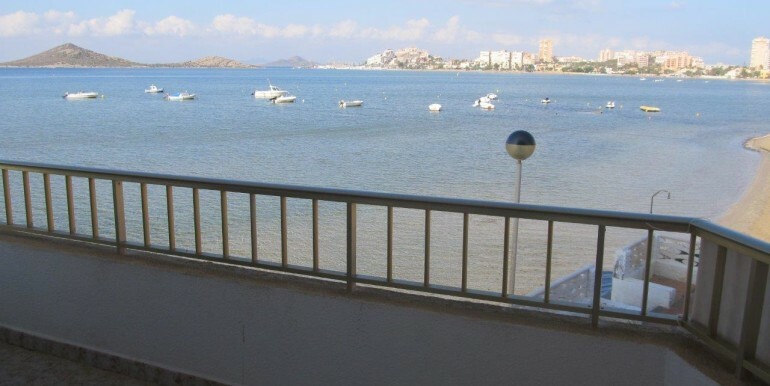 Bright two bedroom apartment located front line in the Mar Menor in the Cavanna area, km 2 of La Manga. 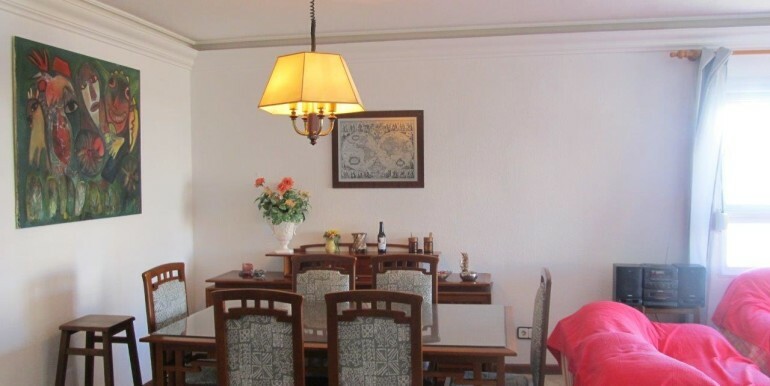 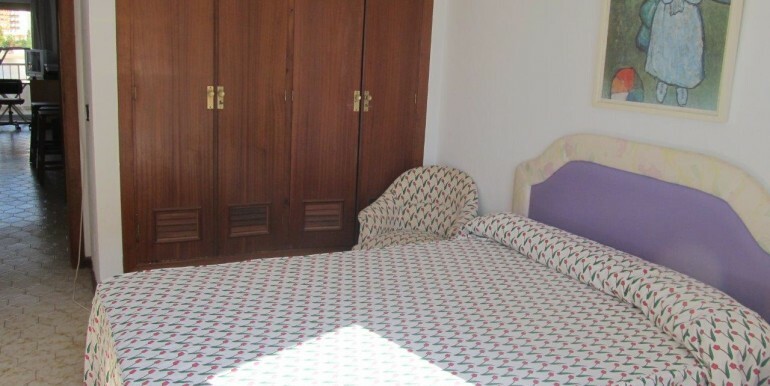 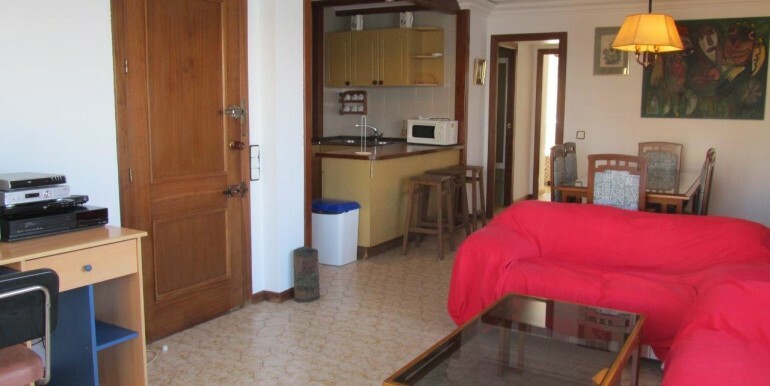 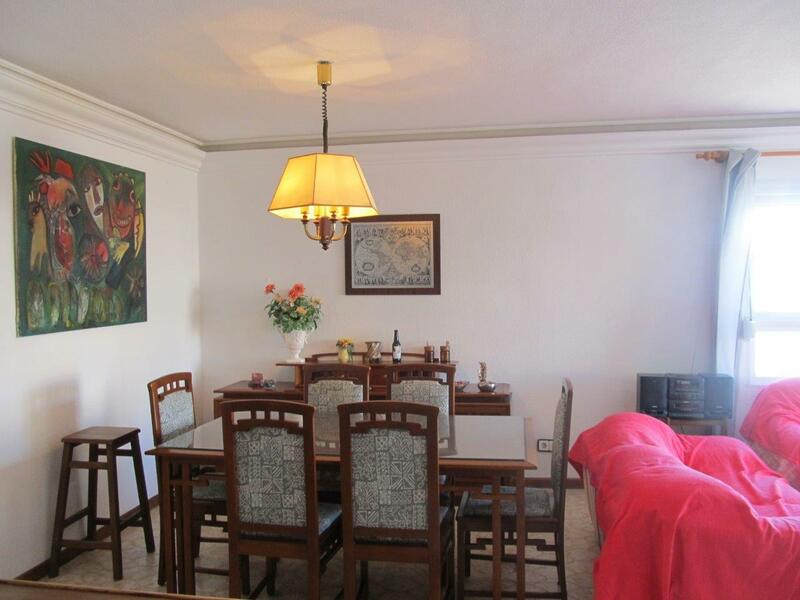 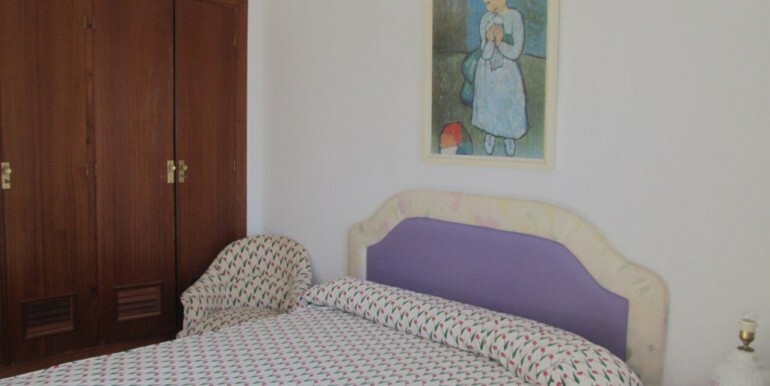 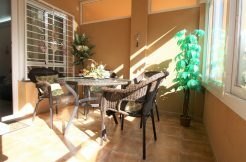 The apartment has got a bright and spacious living room with a lovely terrace and american kitchen, great views, two big bedrooms with built in wardrobe, one of them wit access onto terrase and bathroom with bath. 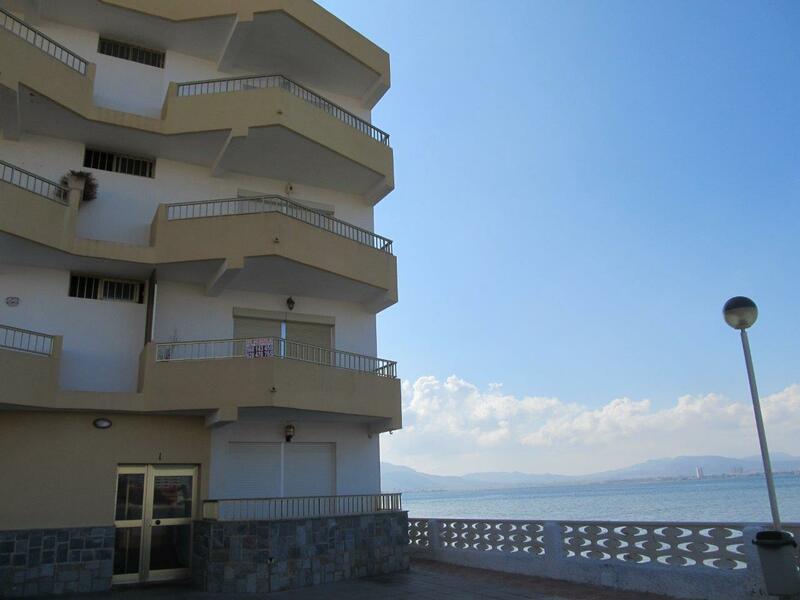 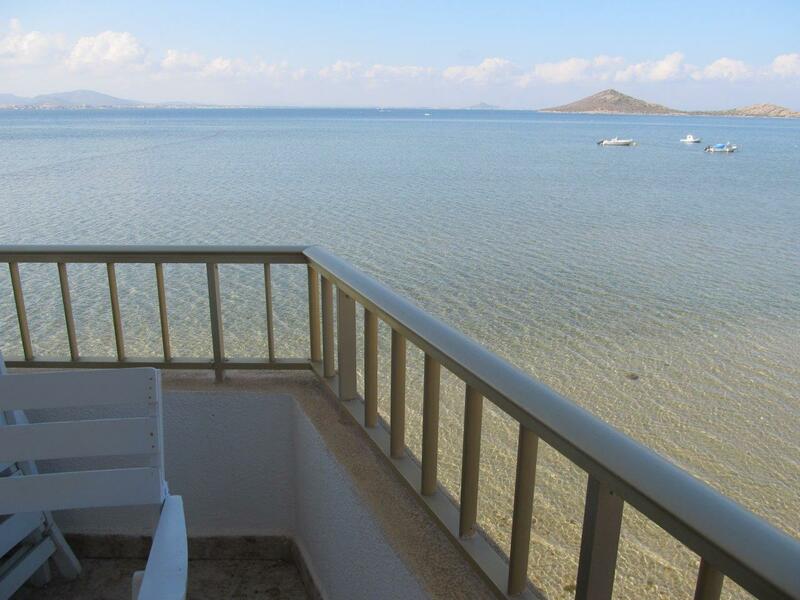 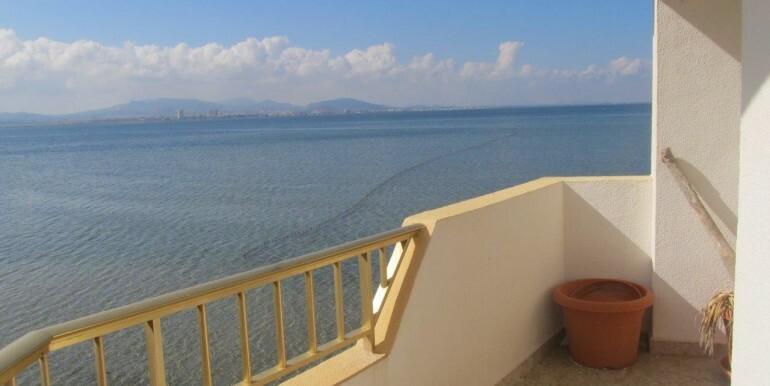 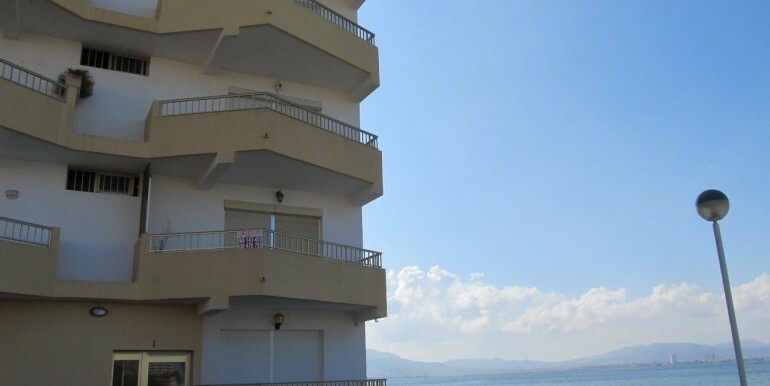 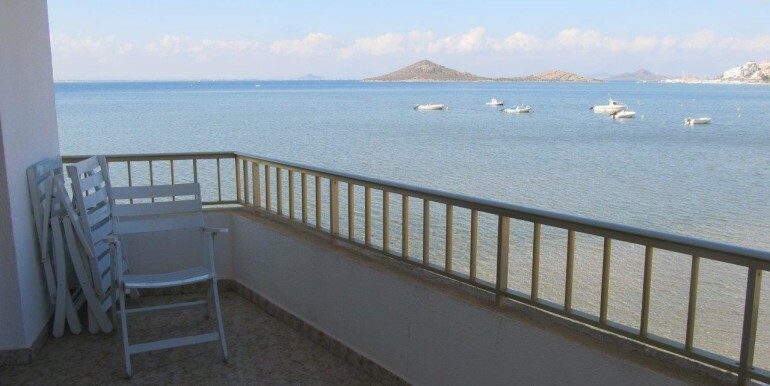 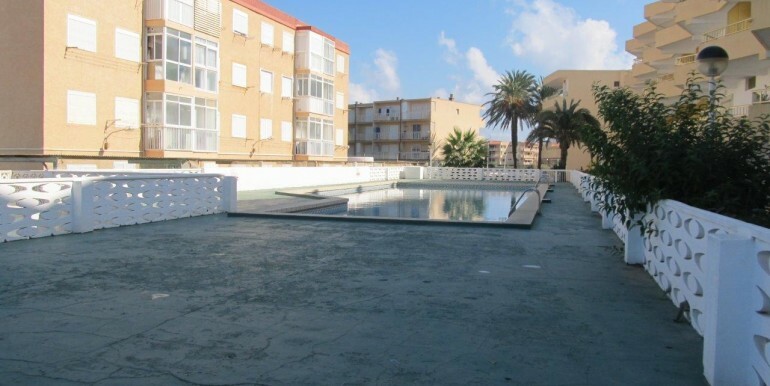 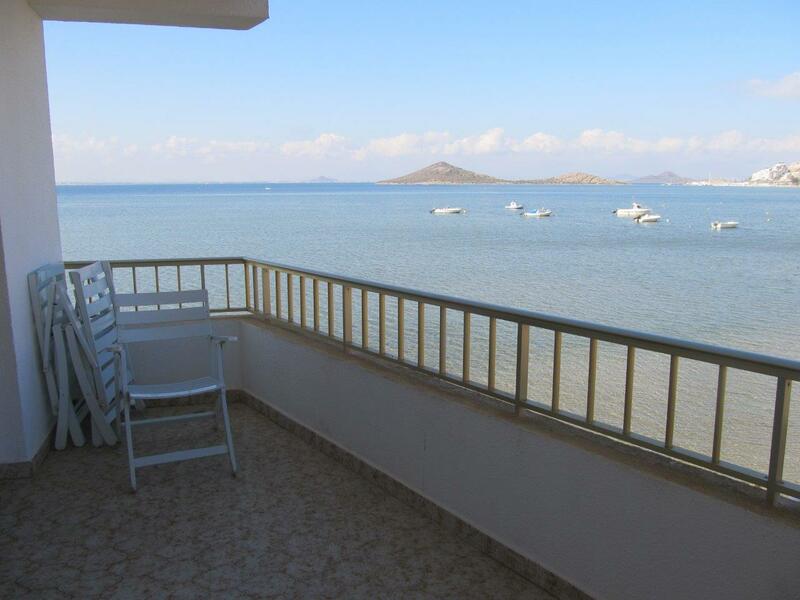 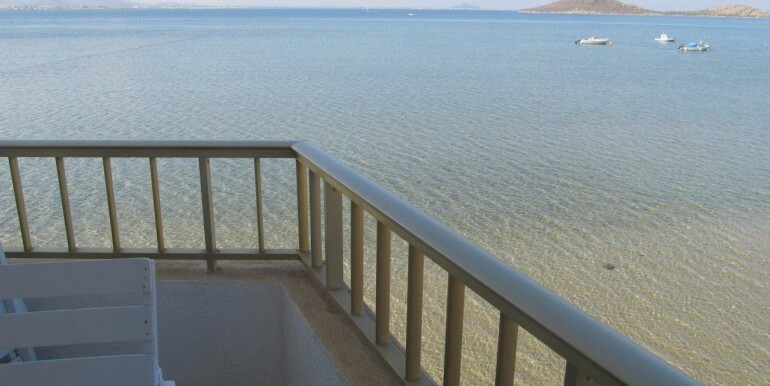 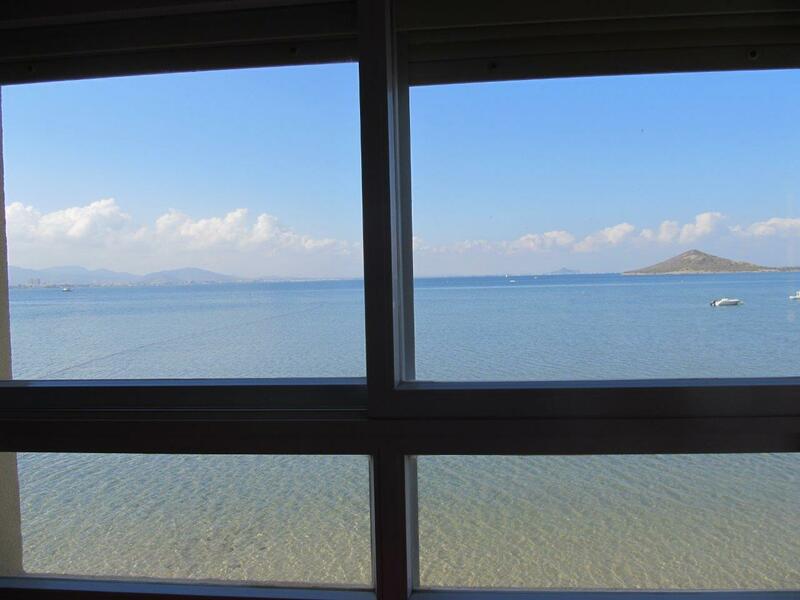 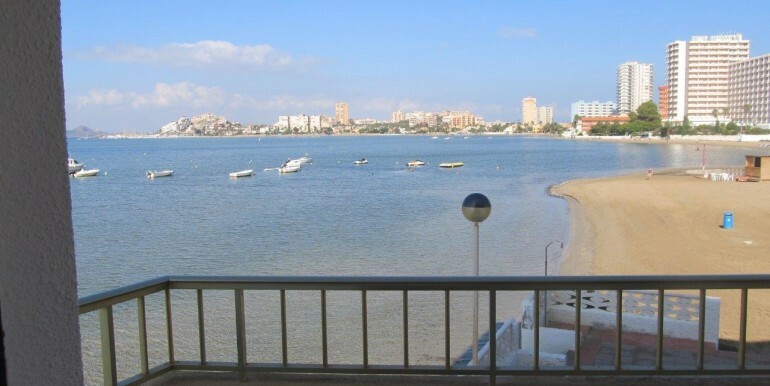 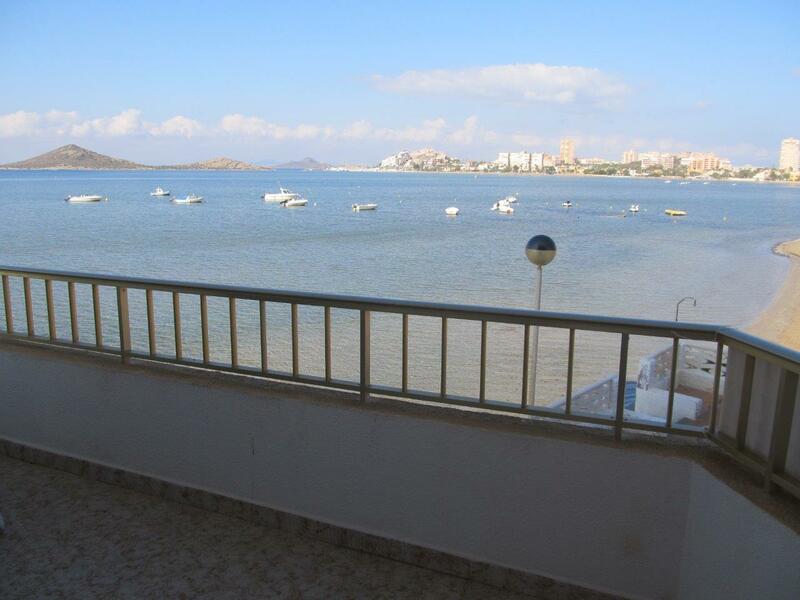 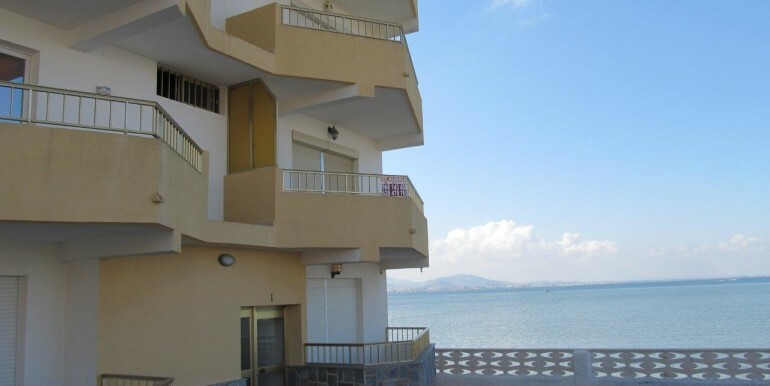 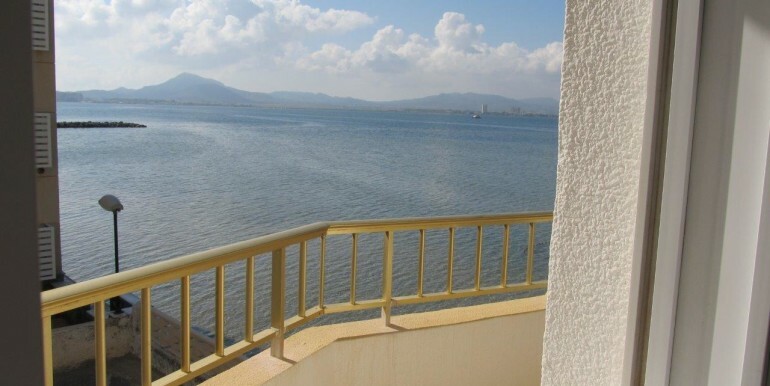 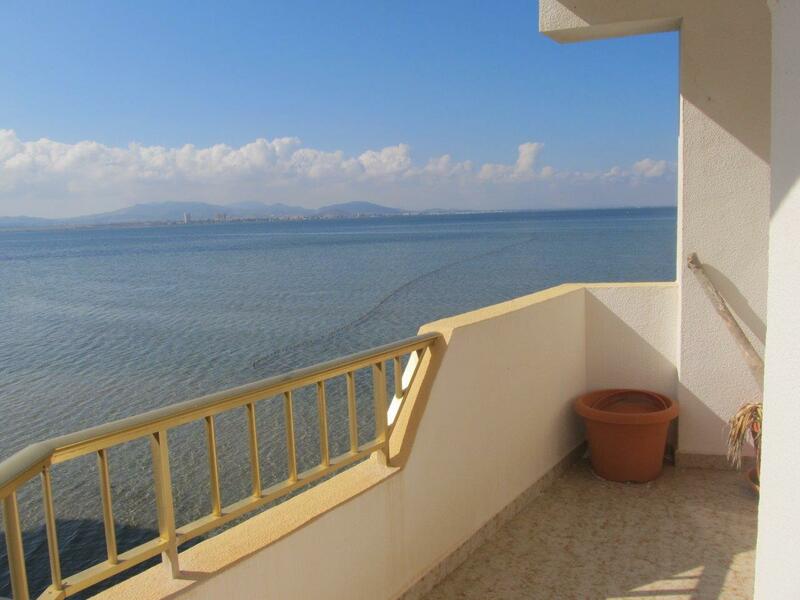 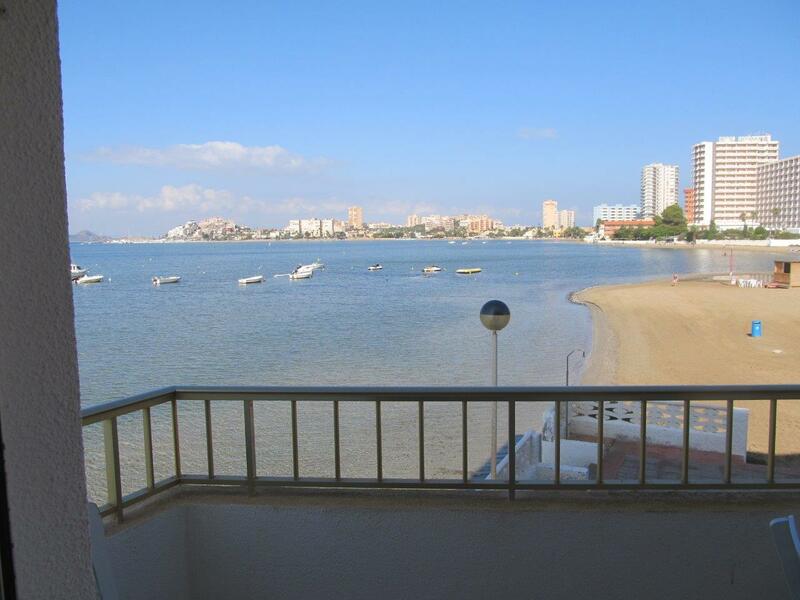 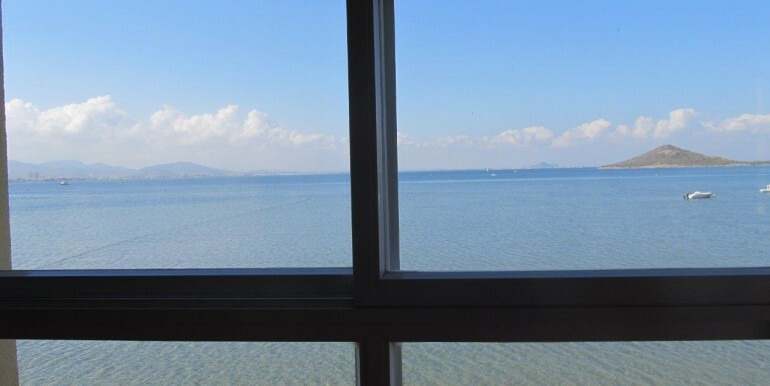 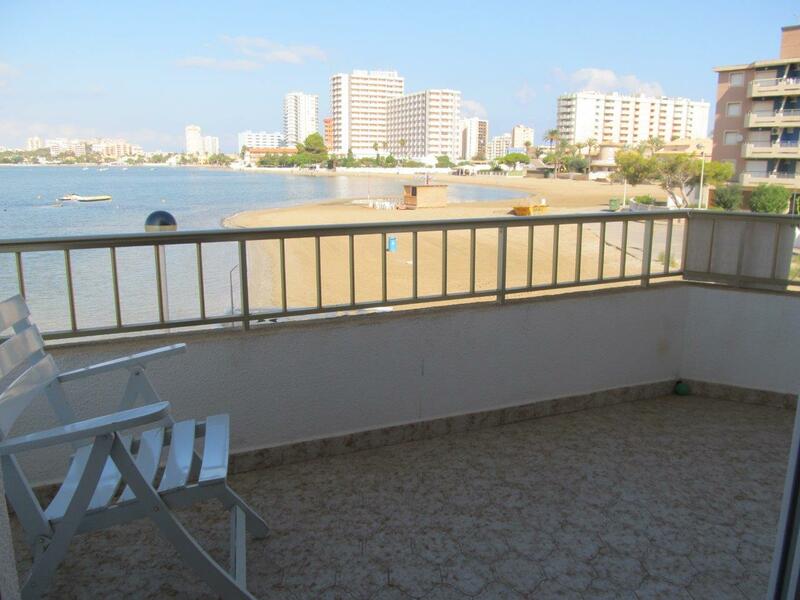 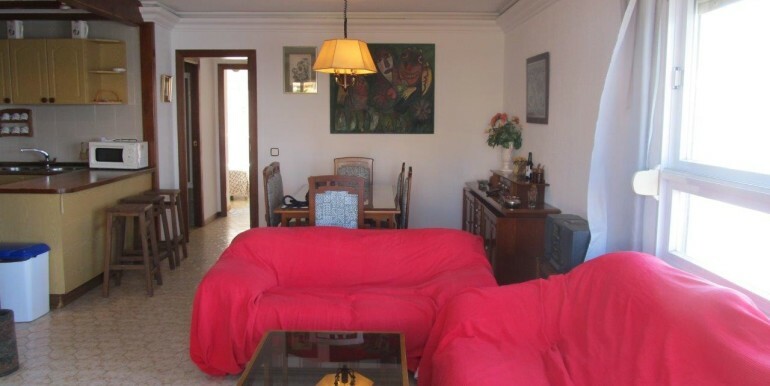 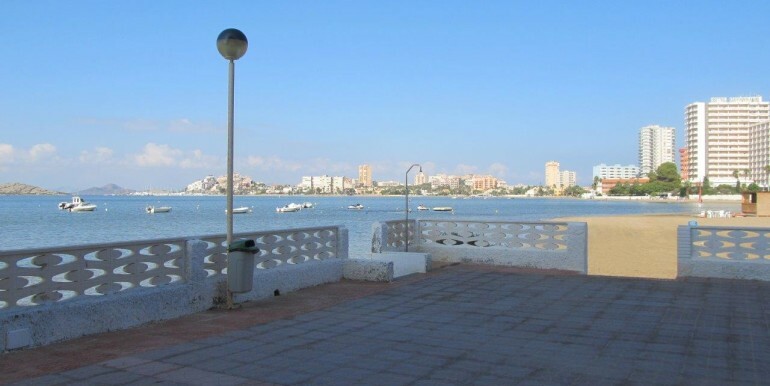 The views of the apartment are amazing since the living room window is literally hanging over the Mar Menor, the development has got a communal pool and the apartment has got a private parking space. 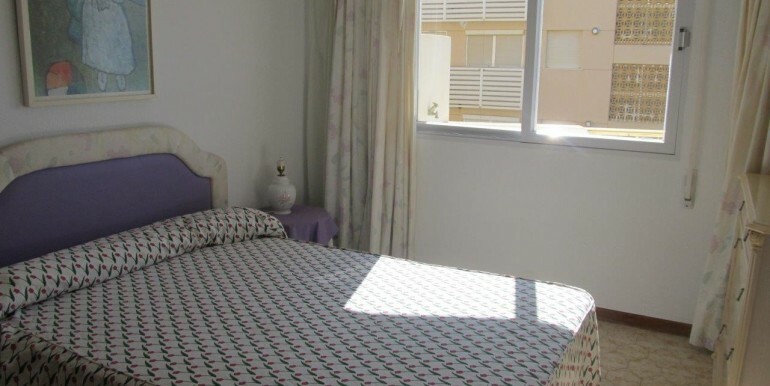 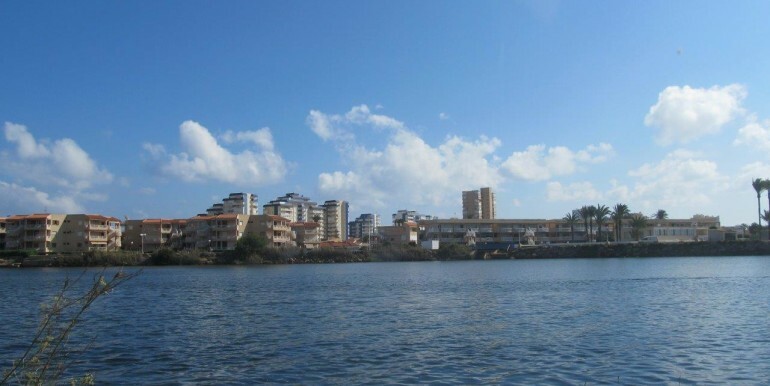 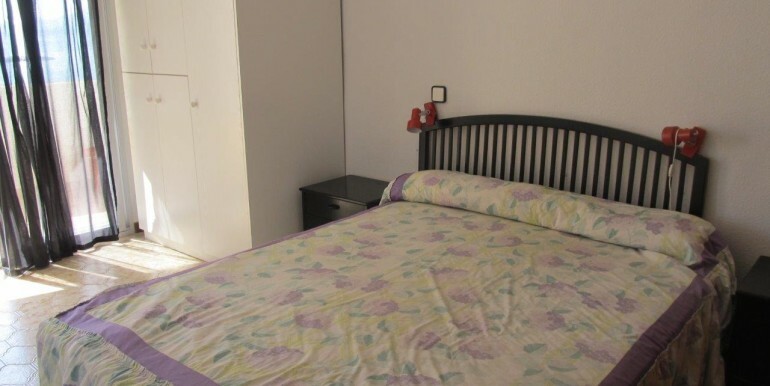 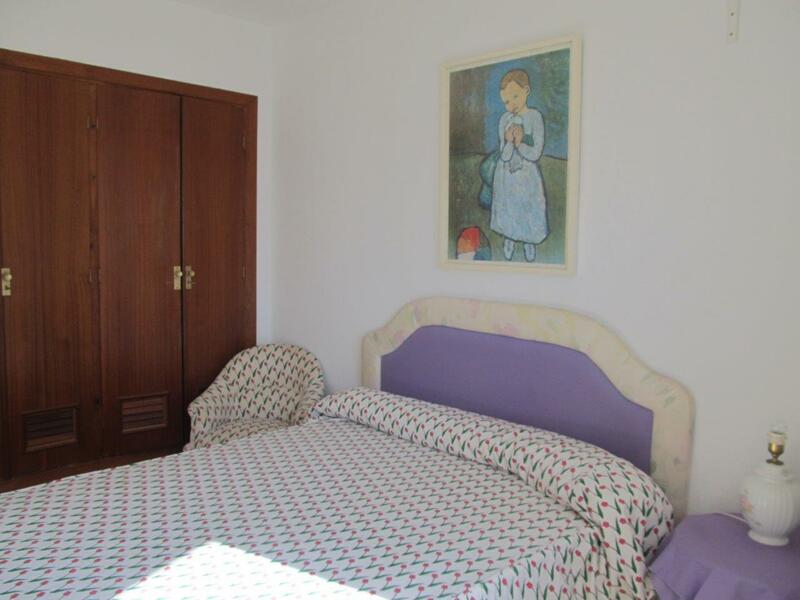 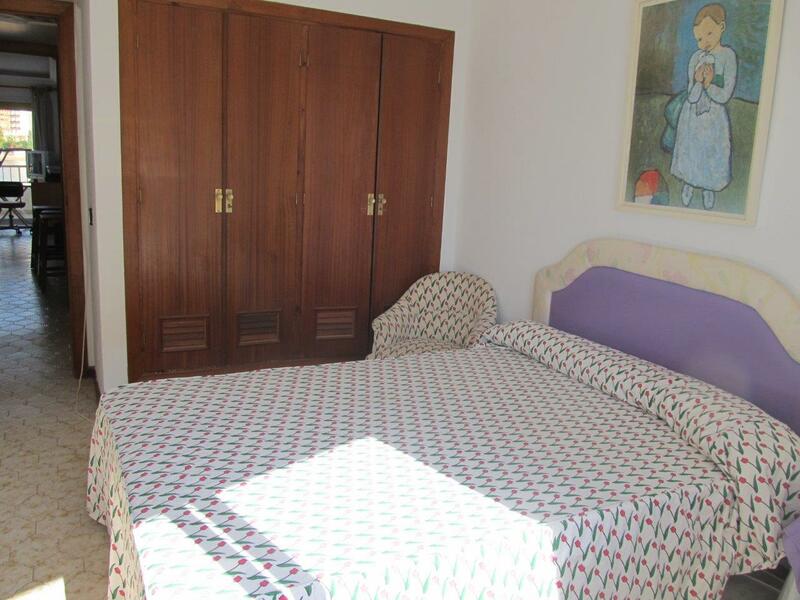 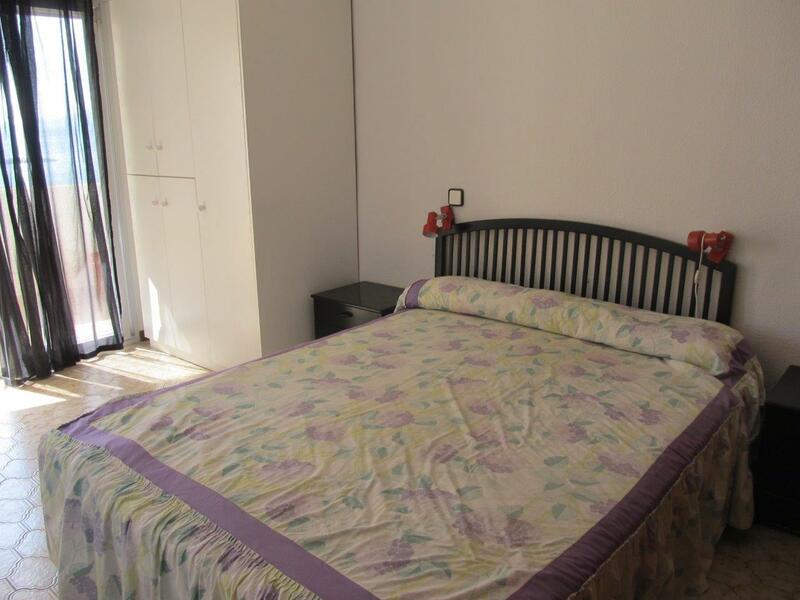 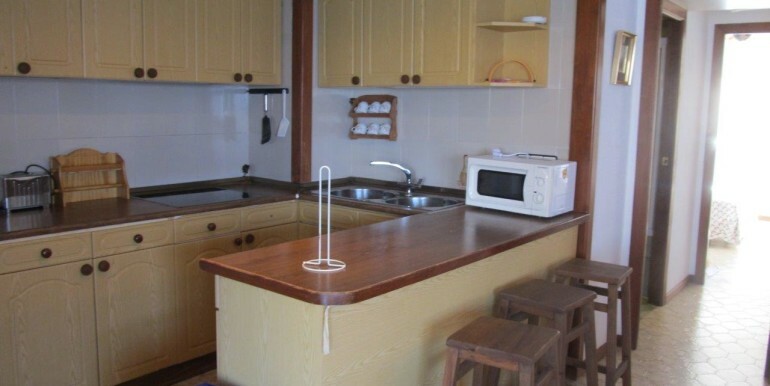 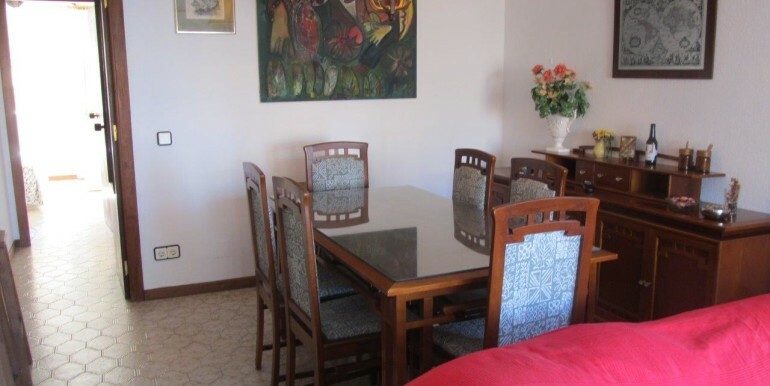 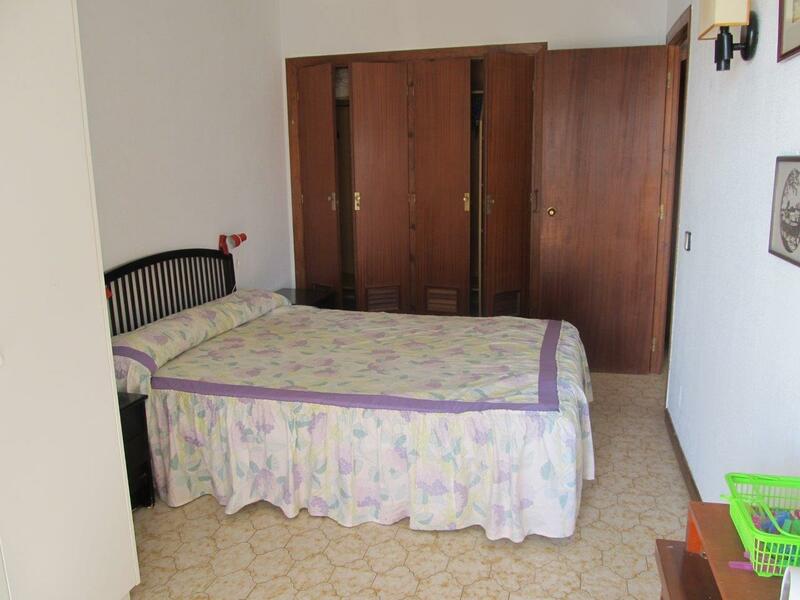 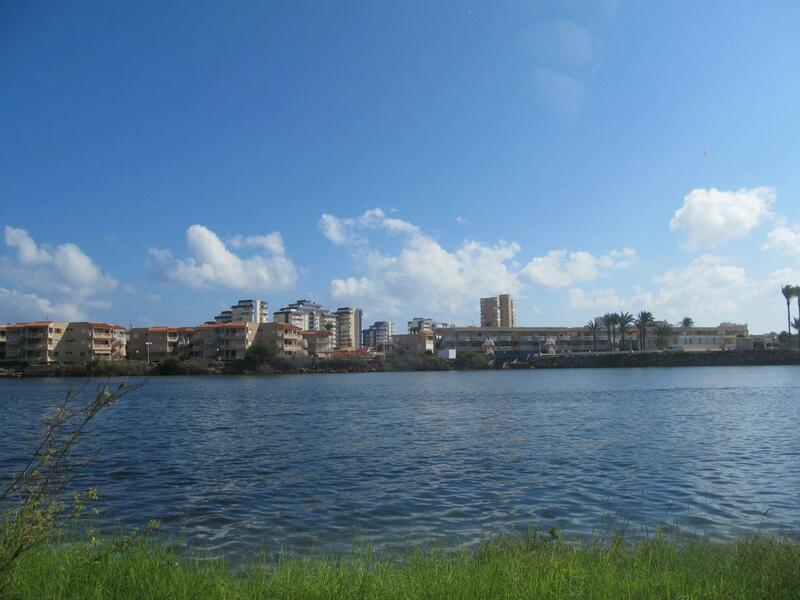 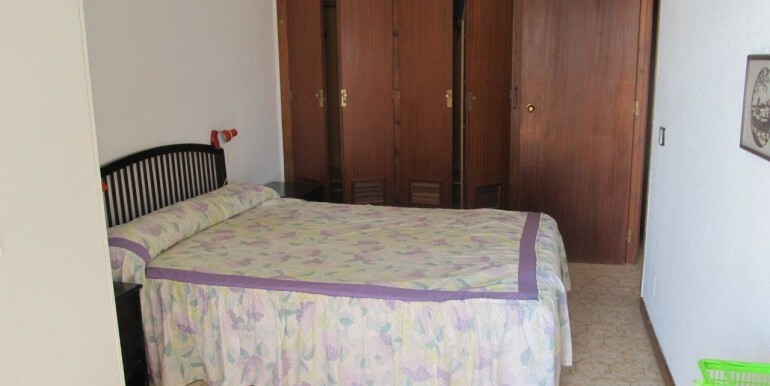 Located in a great area, with necessary services around open during the whole year.